Style DEVICT smartphone control DESS autopilot for rc bait boat with gps function. 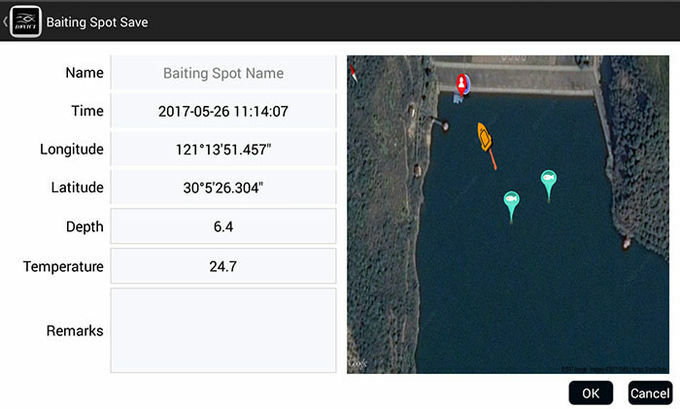 With the GPS function from DEVICT DESS AUTOpilot, anglers could find the precisely bait spot position by google map and record them in baiting spot management system. There are 500pcs spot information could be recorded and repeat baiting as the spot information as anglers required. 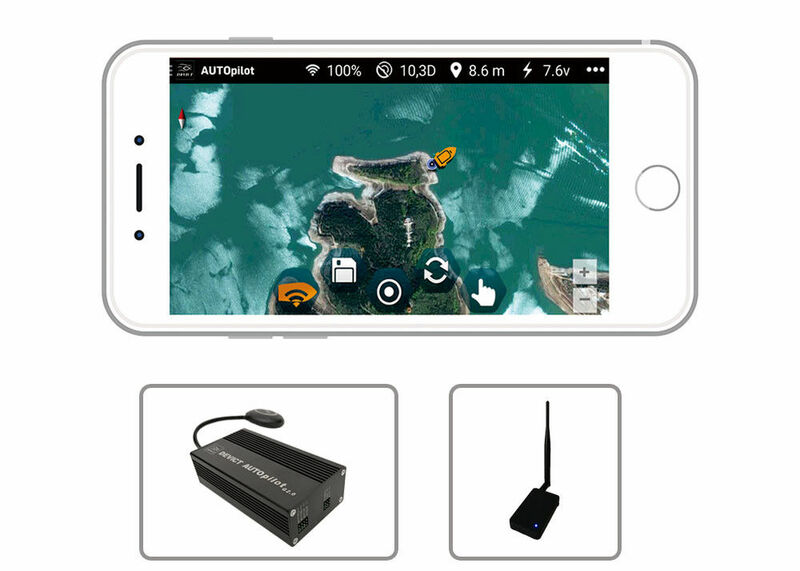 With the cruise system include GPS system, electronic compass and gyroscope to realize controlling the boat freely: you can finger a spot anywhere on the google map in the lake you fishing, the boat can go directly to this spot automatically without remote, and also could back “home” with the command on your finger. Once the connection signals lost among product system, after 15 second, the boat will come back automatically. Meanwhile, if the battery level on the boat is lower need to charge, there’s a battery alarm will warning users to control back the boat asap and the LED light on the boat will flashing as well. ---You will not worry about lost your boat any more! The APP of DEVICT DESS AUTOpilot could be install on all the Tablet PC or Smartphone for IOS or Android system. It could control all the bait boats which install the DEVICT DESS AUTOpilot control box inner the boat. 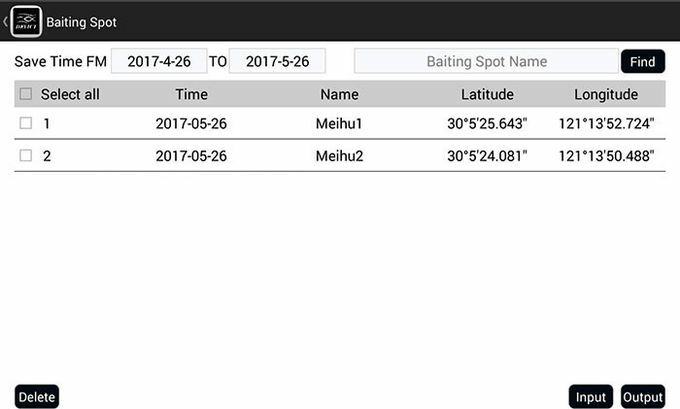 The detailed bait spot information could be save and read when you need. them in detail as need.